Medicine at Southampton is one of the UK’s leading centres for biomedical research with an exciting community of collaborative researchers and students, working with leading academics, in state-of-the-art facilities. We have a reputation for research excellence, with a faculty of supervisors rich in field leaders. We operate a highly focused research strategy that often bridges traditional subject boundaries. Our research encompasses the full spectrum from fundamental discovery science to clinical innovation, and we have a particularly strong reputation for translating new discoveries into a clinical setting. 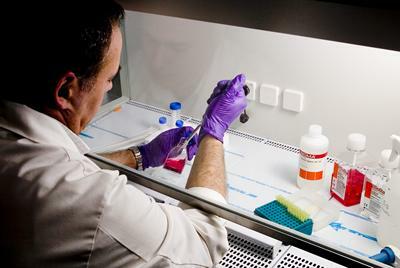 We offer a range of postgraduate opportunities including cancer sciences, human genetics, infection and Inflammation, clinical neuroscience, the study of the Developmental Origins of Health and Disease and Epidemiology, and we welcome excellent students from a broad range of biomedical and health-related disciplines. As a postgraduate student, you will work with and be supervised by cutting-edge clinicians and scientists, who are delivering a highly-focused research strategy with particular strengths in respiratory disease, nutrition and development, cancer sciences, bone and joint disease, stem cells and regeneration, and translational immunology.